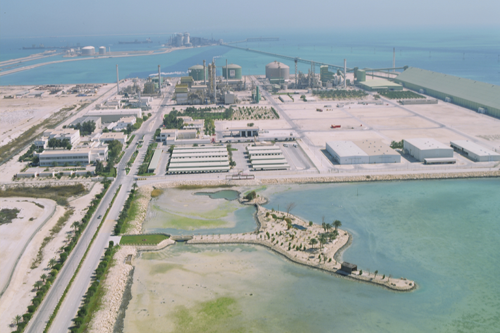 GPIC uses natural gas which is readily available in Bahrain as a feedstock for the production of ammonia, urea and methanol totalling 1.4 million tonnes each year. In addition to the production plants the GPIC Complex, which was built in Sitra on a reclaimed area of 60 hectares, comprises utilities plants, maintenance workshops, offices, stores and laboratories. 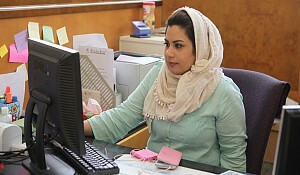 The company employs 474 people of whom 95% are Bahrainis. 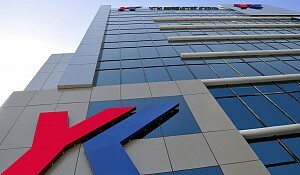 The company has a Board of Directors comprising representatives of the three shareholding states. The Board of Directors is chaired by HE Shaikh Isa bin Ali Al Khalifa, Advisor to His Highness the Prime Minister for Industrial and Oil Affairs and GPIC Chairman. 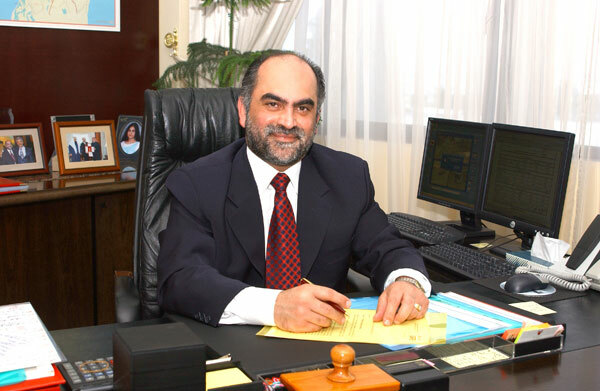 The company's executive management is led by Mr. Abdulrahman A. Hussain Jawahery, President. GPIC considers itself a role model in the protection of the environment and was the first industrial company to use practical demonstration projects to verify the environmental credentials of its operations. 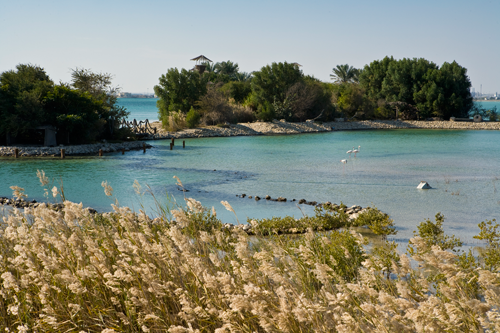 A fish farm, bird sanctuary, palm tree plantations and herbal garden have been established at the GPIC site. The challenges of regional and global climate change have always been taken up seriously at GPIC. In order to manage the green house gas emissions the Middle East first carbon dioxide recovery plant has been commissioned at GPIC in 2010. The unit can capture 450 metric tonnes of carbon dioxide per day from the reformer flue gases and will substantially improve the carbon foot print. GPIC has a robust and internationally recognised Safety, Health and Environmental Management System. The company has won many accolades including the Sir George Earle Trophy from Rospa, UK and the R.W .Campbell award from National Safety Council, USA for excellence in HSE management systems. The company has effective management systems and accreditation includes ISO 9001, ISO 14001, and ISO 18001. These three management systems have been integrated. GPIC is also certified to ISO 27001 that deals with information security and has voluntarily embraced Process Safety Management (PSM) at its facilities. 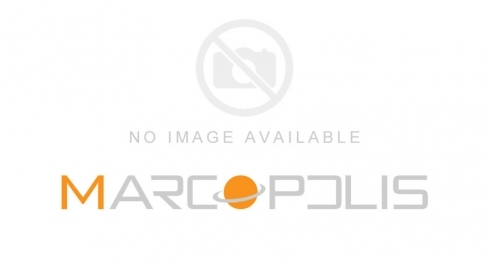 The company is a significant contributor to the national economy of Bahrain. Established with a paid up capital of US$ 159 million, GPIC's cumulative profits have exceeded a billion dollars. The company's activities, represented by natural gas purchases, employment and training of Bahraini nationals, utilisation of local contractors, power consumption and other financial and commercial operations inject around US$100 million annually into the national economy. Food and nutrition security, the main agricultural goal, is not just a matter of ensuring adequate food supplies but also ensuring their availability and stability, accessibility and affordability. As of 2010, the world population is at 6.8 billion and is projected to grow by close to 1 percent annually between 2007 and 2016 and reach more than 9 billion by 2050 (US Census Bureau, 2010) with the majority of humanity living in urban areas. The daunting task for the agriculture sector is to produce the needed food, feed, fibre and bio-fuels for the growing population in a manner that will protect the environment, preserve biodiversity and mitigate climate change, all at the same time. Because of the constraints on the expansion of land and water resources, growth in future food supply predominantly depends on agricultural intensification. When GPIC was launched in 1979, the primary objective was not merely to add value to Bahrain's natural gas resources by producing and exporting petrochemicals to improve the country's export earnings. There were other related objectives too. It was the first petro-based industrial unit where three GCC counties (namely, Bahrain, Kuwait and Saudi Arabia) would collaborate to bring out the true essence of Gulf co-operation. SABIC of Saudi Arabia and PIC of Kuwait have not only invested in the capital of GPIC, but have also contributed through guidance and assistance provided both at Board and organisational levels, especially in the field of effectively marketing our products globally. I have always maintained that GPIC has had an interesting past and a glorious present and a very promising future. When our plants went on stream in 1985-86 the global petrochemical prices had crashed and the netbacks were not adequate to cover our costs of production; more importantly, we were not in a position to service our debts. The financial crisis was a blessing in disguise; the bankers imposed strict terms for re-structuring the debt. GPIC was required to operate and maintain the plants at optimum levels for as long an uninterrupted period as possible to keep unit (per tonne) production costs as low as possible. The adversity provided a test (and an opportunity) of our organisational resolve to overcome the odds. We did so with flying colours by improving our performance year after year to become one of the most cost effective producers, not only in the region but in the world. 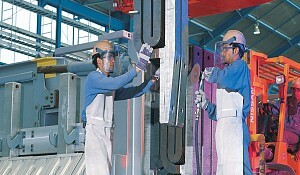 This obsession with continual improvement in every sphere of activity has led to GPIC becoming a world class petrochemical producer that is rated very highly and regarded as a role model by its peers, customers, vendors, original equipment manufacturers, licensors, and consultants, but more importantly by the people and governments of Bahrain and the GCC. Add to the reputation the financial dimension and the awards bestowed upon the company, we can say with pride that we are going through a glorious era. The kingdom is making all out efforts to explore for gas in the country and also seeking external sources for procurement of gas. We have several expansion and diversification plans in the pipeline that are ready to be implemented from all techno-commercial aspects. We are just waiting to launch these at the first confirmation of availability of gas. These projects are very viable and profitable and will be a boon not only to GPIC, but will also provide a comprehensive boost to the Bahrain economy. As GPIC became a success, it has shared its financial success by becoming a good corporate citizen and contributed to several charitable, social and educational projects in the kingdom. GPIC is considered a role model in the protection of the environment as it is the first industrial company to use practical demonstration projects to verify the eco-friendliness of its operations, such as construction of the Bird Sanctuary, Fish Farm and various gardens. Over the past few years, GPIC has been honoured with excellence in the field of Health, Safety and Environment performance, establishing a solid management system that incorporates accreditation to ISO 14001, OHSAS 18001 and voluntary compliance to OSHA's Process Safety Management. GPIC's management systems have proved to be successful, reaping recognition from a number of international institutions such as the Royal Society for the Prevention of Accidents (RoSPA). These international awards are clear evidence of our commitment to the establishment of HSE concepts in a total business culture, thus providing improvement of GPIC as a business as well as adding value to society and human resource alike. The success of the past motivates us to meet future challenges. It inspires us to make GPIC a safer place to work, to enhance the health of our employees and to continually provide the opportunity for them to protect and preserve the environment. In our journey to achieve this goal we intend to openly share our HSE performance and experience with all interested parties through this website. You are invited to browse our website and hopefully to learn how GPIC intends to establish HSE culture as a core business value. 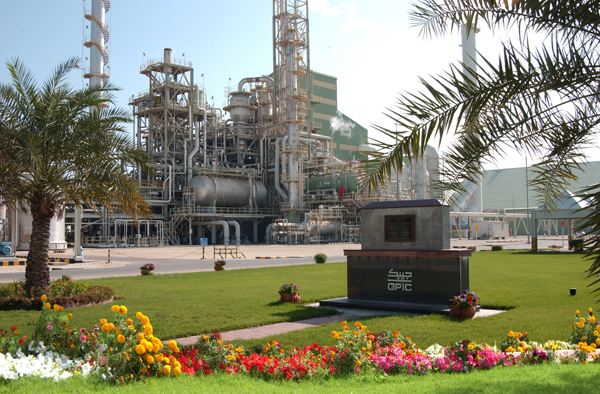 Finally, GPIC today is regarded as one of the best operating petrochemical complexes in the world. 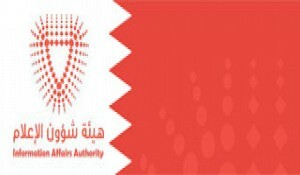 It is the benchmark and role model for sustainable development with sound financial performance, the best safety record in any petrochemical complex in the world, and one of the best complexes caring for the environment and promoting environmental awareness for sustainable development in Bahrain, regionally and internationally. The Arabian Gulf (AG) region today is a major exporting region for nitrogenous fertilizers, accounting for nearly 16% of the world's nitrogen exports. With the combination of population growth on the one hand and the diminishing availability of arable land on the other, the role of nitrogenous fertilizers in the production of food has become crucial. AG fertilizer producers are expected to continue to play a strategic role in meeting this challenge by contributing towards international efforts to increase food production by substantially increasing their share of exports. This would be possible by taking the opportunity of the advantages available to the region in the form of abundant availability of natural gas and easy access to main shipping routes, particularly to the rapidly growing economies of India, China and South East Asia. In addition to the exports of nitrogenous fertilizers, Saudi Arabia will also be producing and exporting phosphates. This will add a new dimension to the Arabian Gulf arsenal of nutrient exports. Saudi Arabia will soon become the second largest exporter of DAP (di-ammonium phosphate) in the world after the USA. 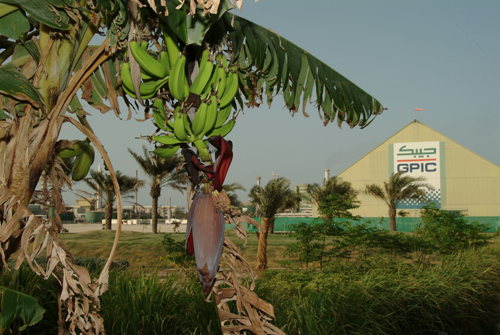 Once operational the Maa'den Plants in Saudi Arabia will have a capacity of 2.9 million tonnes of DAP product, which would represent 18% of the World DAP export market. There is some serious concern at the moment about the capability of world agricultural production to keep pace with the growth of world population. Food and nutrition security, the main agricultural goal, is not just a matter of ensuring adequate food supplies but also ensuring their availability and stability, accessibility and affordability. As of 2010, the world population is at 6.8 billion and is projected to grow by close to 1 percent annually between 2007 and 2016 and reach more than 9 billion by 2050 (US Census Bureau, 2010) with the majority of humanity living in urban areas. The daunting task for the agriculture sector is to produce the needed food, feed, fibre and bio-fuels for the growing population in a manner that will protect the environment, preserve biodiversity and mitigate climate change, all at the same time. Because of the constraints on the expansion of land and water resources, growth in future food supply predominantly depends on agricultural intensification. Further, I would like to add that in addition to fertilizers, the AG producers will also contribute through exports of other petrochemicals that feed the synthetic fibre, plastics and chemicals industries. The input of these products will play a major role in meeting the increasing demands in fast growing economies. A trickle down effect of such economic boost is their ability to import food from other regions where there is a surplus. I see GPIC as having a significant role to play in the Bahrain economy and a significant role to play internationally in regard to sustainable development in the petrochemical field. We currently have a major Ammonia and Urea project in hand and I am confident that this project, which will triple the production size of the company, will be well underway by 2015.